Sensory experience of what’s not there provides a foundational set of problems for philosophical theorizing about perception. This includes hallucinations, dreams, imagination, and virtual reality. Traditionally, these cases are thought to reveal something about (1) how experience of distal objects arises from proximal receptor stimulation and (2) the nature of the perceptual contact afforded through that experience. 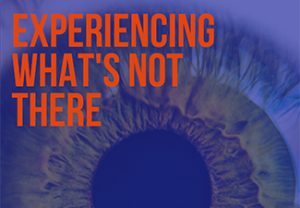 This workshop brings together some of the best current research on experience of what’s not there, from both philosophers and scientists. Although different in some ways, hallucinations, dreams, imagination, and virtual reality — all being experiences of what’s not there —overlap and intersect in interesting and important ways. By bringing together a diverse group of top researchers we hope to foster new and unconventional insights into these problem areas. A detailed schedule of the workshop and abstracts of the talks will be posted closer to the event date. This two-day workshop is organized by Prof. Mohan Matthen and Dr. Michael Barkasi (for information, please email michael.barkasi@utoronto.ca) and hosted by the University of Toronto Graduate Department of Philosophy, the Department of Philosophy University of Toronto Mississauga. and the Network for Sensory Research, with funding from the Canada Research Chairs Program. The Network for Sensory Research is an international philosophy-led group of institutions conducting interdisciplinary research on perception. Our aim is to build a theoretical model of the senses that matches the complexity of sensory phenomena, as revealed by recent scientific work.